For Fine Or Flyaway Hair. 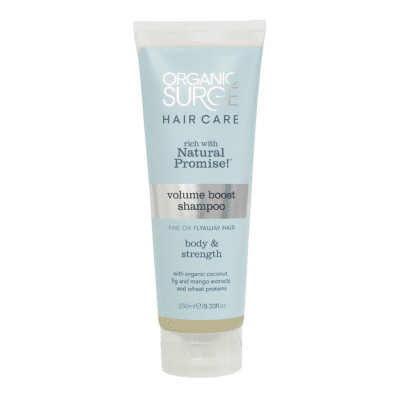 Volume Boost Shampoo gently washes away dirt and impurities to leave hair soft, strong and manageable. Strengthen with native wheat proteins whilst a special blend of amino acids promises to keep your hair looking naturally healthy. For Fine Or Flyaway Hair. With Earth Balance fragrance, Volume Boost Shampoo gently washes away dirt and impurities to leave hair soft, strong and manageable. Use it this way: Wet hair thoroughly and massage shampoo into your hair from scalp to ends. Reapply if desired, then rinse well and follow with Volume Boost Conditioner.